Premier League clubs will today continue to highlight the issue of counterfeiting within the football industry, as the 'Football Against Fakes' conference takes place at Emirates Stadium. Enforcement officials from across the country will be in attendance to provide clubs and their partners with the opportunity to share knowledge and build relationships. Representatives from Leicester City and The FA join other industry experts in speaking during a full programme on the matter, which will include a presentation on the Premier League's anti-counterfeiting programme, as well as a discussion on digital investigations. Over the course of the 2015/16 season, the Premier League alone seized almost 100,000 counterfeit items worth more than £1million, taking the total value of items recovered past the £10m mark since the scheme began in 2007. This figure does not consider clubs' own seizures and those of kit manufacturers. The third instalment of this annual event will introduce the Premier League Enforcement Authority of the Year Award, acknowledging professional excellence and outstanding results in the protection and enforcement of intellectual property rights. Nominations for this award have been submitted from across the country. 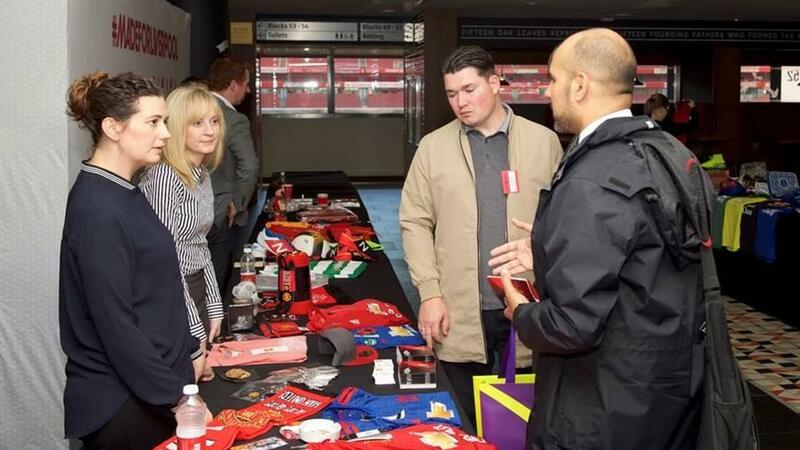 The conference offers a platform for Premier League clubs to engage with each other on the issue, exhibit official merchandise to demonstrate the difference with fake goods and enable them to develop key working relationships with the authorities who help protect their brands. "As interest in the competitive and compelling football put on by Premier League clubs increases so too do the challenges surrounding the production and sale of counterfeit goods," said Richard Masters, the Premier League Managing Director. "Every season we are made aware of fans who have purchased what they believe to be legitimate kits tickets, and club souvenirs, often for prices close to or at the same level as genuine products, only to find out they have bought poor quality fakes. "Today's event allows the Premier League and our clubs, many of which are already doing excellent work in this space, to come together with kit manufacturers, law enforcement agencies and other public bodies to share best practice and reaffirm our commitment to reducing the trade in counterfeit merchandise." Ros Lynch, Copyright and IP Enforcement Director at the UK Intellectual Property Office, said: "Opportunistic counterfeiters have benefited from the increasingly distinct and unique design of Premier League football shirts. "The UK Government and its partners in law enforcement are working hard to bring an end to this practice. Cross-border collaboration is vital as the global popularity of Premier League clubs make them a target for IP thieves across the world. To face this challenge and protect IP rights we need to be as one in our efforts." Detective Chief Inspector Peter Ratcliff, Head of the City of London Police Intellectual Property Crime Unit, said: "Our analysis shows that sportswear products and accessories remain the most counterfeited products sold online. This demonstrates not only the huge consumer appetite for sportswear but also the importance of our solid partnership with the football industry in identifying and disputing fake websites. "So far we have overseen over 13,500 takedowns of counterfeit websites and prevented thousands of consumers from becoming future victims duped into handing over their personal and payment details to criminals who may commit further crime through identity theft. "No supporter should feel the disappointment of purchasing a product with their hard-earned cash only to discover that it's not genuine, and together with our partners we will continue to tackle the issue head by maximising intelligence sharing and working collaborations at every opportunity."